World Sailing’s mid year meeting was held 13 -14 May 2018 in London. One high profile subject discussed was the sailing events and equipment to be used in the 2024 Paris Olympics (Marseille). 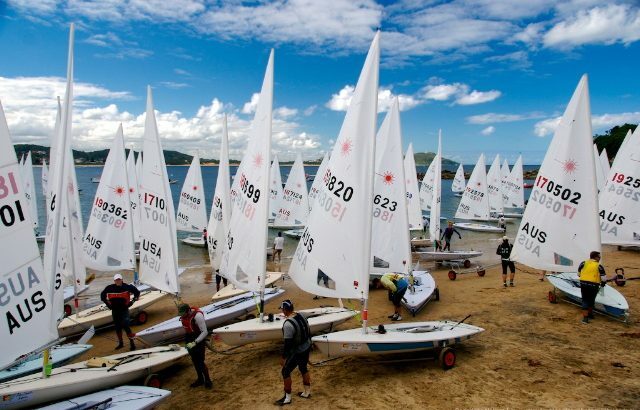 At the 2017 November World Sailing meeting it was resolved for the 2024 Olympics to keep the 49er, 49erFX, the mixed Nacra 17, the Laser and Laser Radial and to review the 470, Finn and RS:X Boards. The decisions on the review last weekend are HERE . As for the Laser while the event and format is retained for the 2024 Olympics the equipment supply will be evaluated later this year in a process which WS term “anti-trust review”. This review will look at all aspects of the Laser equipment including suitability for the Olympic Event, prices, manufacturing, availability and supply around the world. The final outcome of the review is expected in November 2018.